This image was taken on Dec. 11, 2004 by the Cassini spacecraft as it approached Titan for its second close encounter with this intriguing moon. 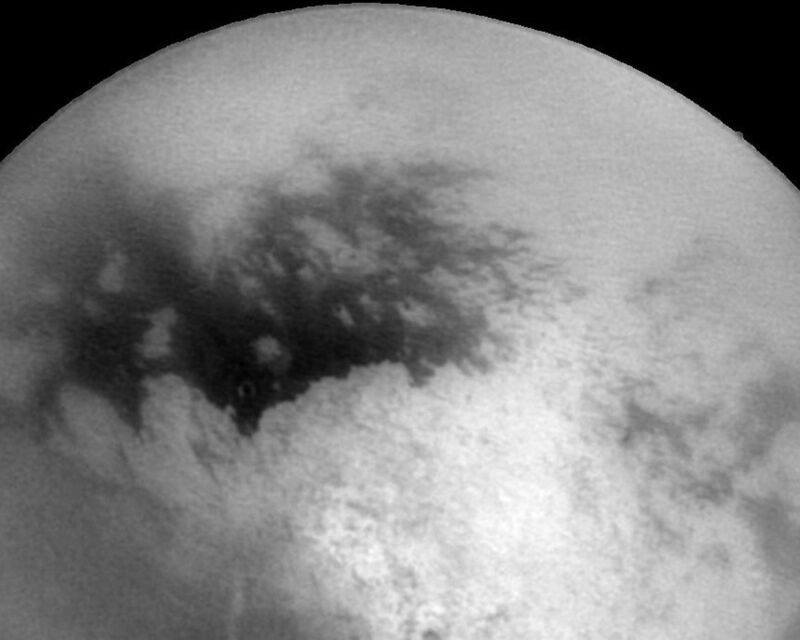 The bright and dark regions near the center of the frame are features on Titan's surface. The image has been processed to make features more visible. 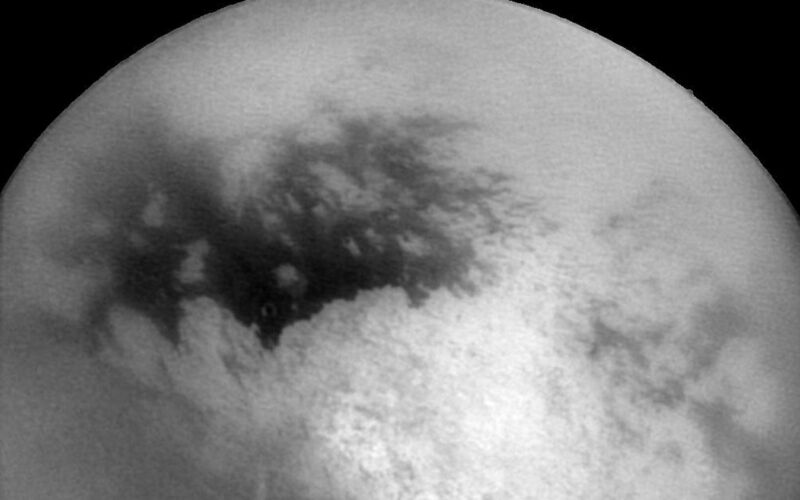 The surface contrast is degraded toward the edges of the disk due to the effects of Titan's smoggy atmosphere. 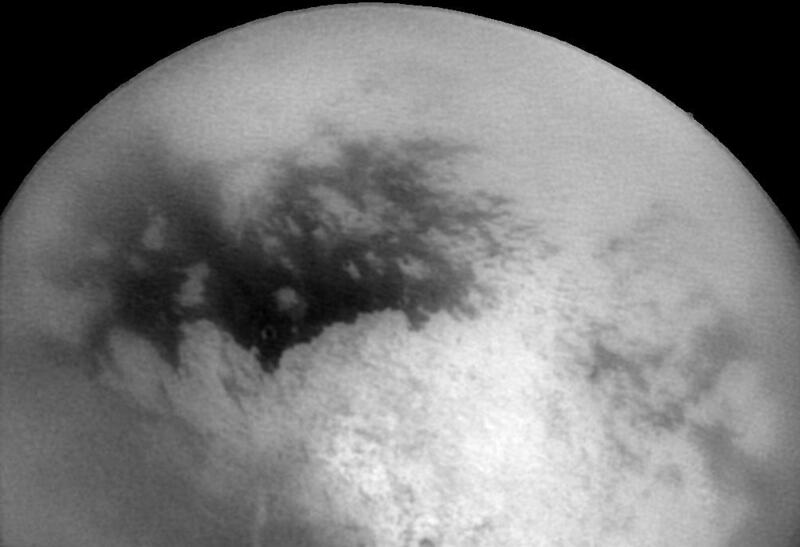 The region seen here is similar to that seen during Cassini's first close flyby of Titan in October (see PIA06141). The bright area toward the bottom of the image is the region dubbed "Xanadu." North is to the upper right. The image was acquired with the Cassini spacecraft narrow angle camera at a distance of approximately 810,000 kilometers (503,000 miles). The image scale is 4.8 kilometers (3 miles) per pixel.